Cleaning conservatory roofs, doors, frames, sills, soffits, glass and fascias in Llanelli and surrounding areas. We provide a full conservatory cleaning service in Llanelli and surrounding areas. We can clean and restore your conservatories UPVC cleaning away dirt, algae and stains. In every conservatory clean we include gutters, fascias, soffits, downpipes windows and frames. No matter what condition, our conservatory cleaning service in Llanelli can bring your conservatory back to life. Whether it’s just a one off conservatory clean or a regular maintenance clean we are happy to provide a no-obligation quote. 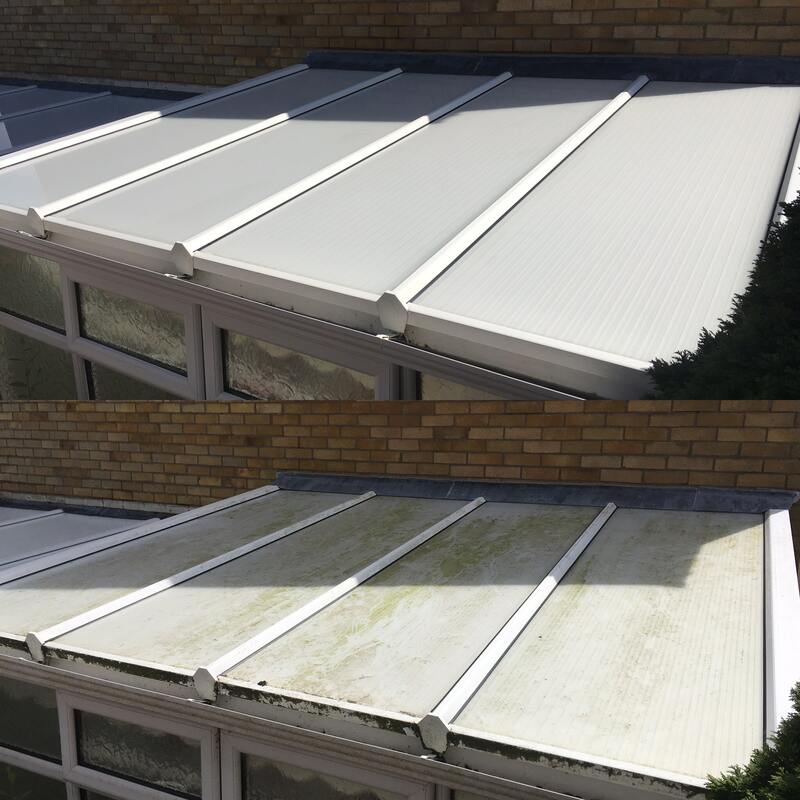 We can also clean the interior of your conservatory including the roof, providing an all round cleaning service for your conservatory. As with our exterior clean, we include all interior frames, sills, beams and windows. We are able to clean your conservatory roof efficiently and professionally using our pure water fed pole system. We can reach most roofs and awkward to reach areas with our extendable pole system. We use pure water to clean your roof removing debris build up, algae and stains. With every conservatory roof clean we include glass and polycarbonate roof panels and all UPVC. Our other exterior cleaning services in Llanelli include window cleaning, gutter cleaning, fascias, soffits and cladding cleaning. We guarantee a quality job every time with competitive rates. Contact us today for a no obligation quote.